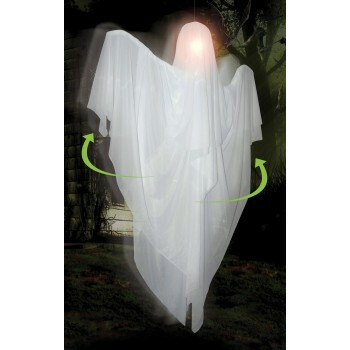 Includes: (1) sound activated rotating ghost with posable arms measuring 160cm Tall. 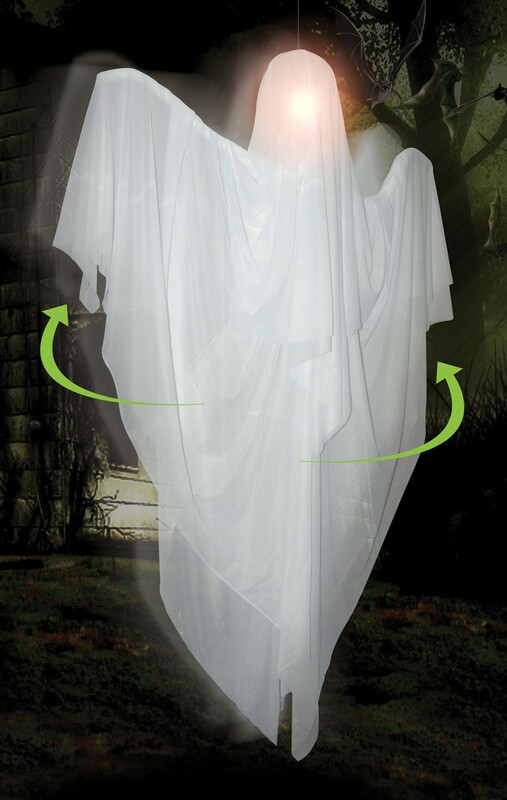 When activated, this Halloween prop spins back and forth, makes "Booing" sounds and the head lights up. Requires (3) "AA" batteries, not included. For indoor or covered use only.